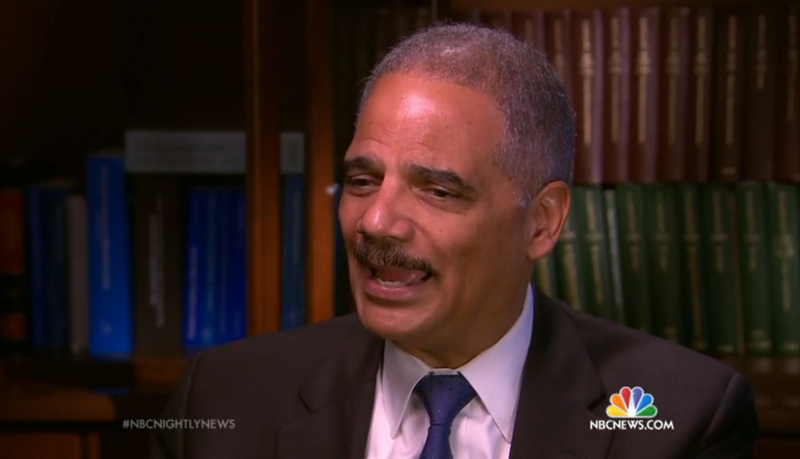 The day after he announced his resignation as U.S. Attorney General, Eric Holder gave an interview with Pete Williams. 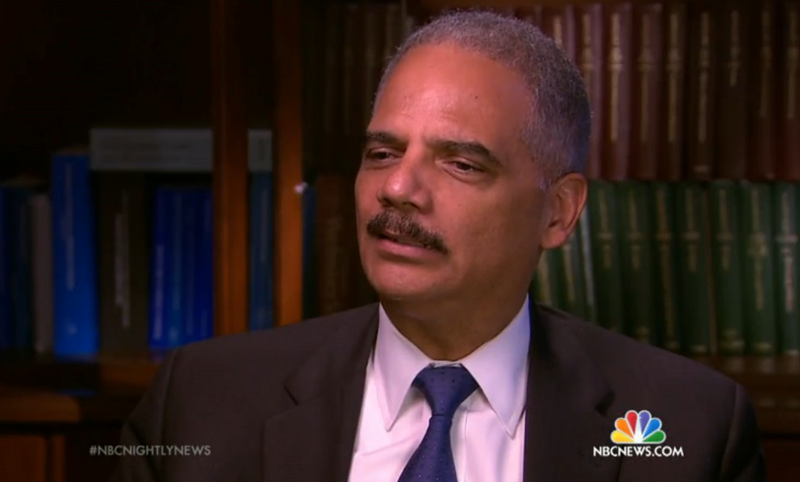 The above video includes a brief portion of this interview and provides significant insight into the thought-emotions of Mr. Holder as he answered these questions. What follows is a partial body language analysis. 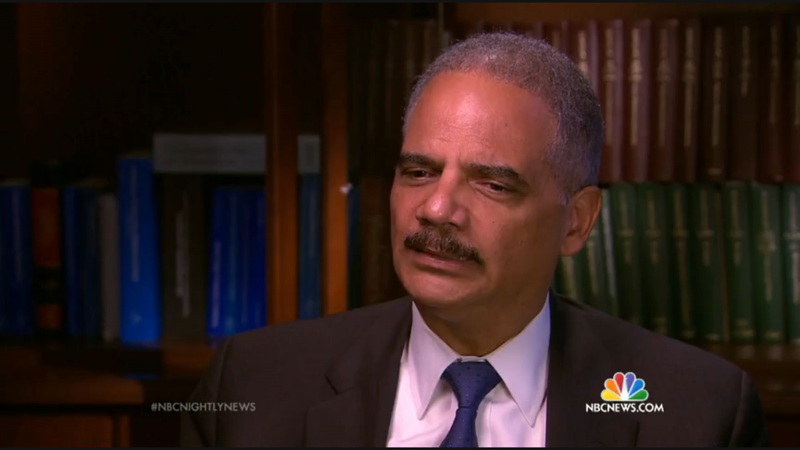 During the 0:48 mark, we see a microexpression of fear as he speaks about situations similar to Ferguson, Missouri. "I think part of it has to do with, um, the lack of knowledge on the part of, [fear microexpression] ah, certain communities - communities of color, to understand the fear ...."
"....that police officers have - in just being on the streets ...."
As he says "... have ..." (at 0:53) his mouth movements are exaggerated. Melodramatic mouth movements are highly significant for the speaker believing that they have dominance over those viewing them. Note this "pecking order" point-of-view often is NOT congruent with the words being spoken (or what others may believe/think about who is in charge). Such a disparity is always a red flag - for when the verbal and the nonverbal signals are in disagreement, the nonverbal is always representative of the true thought-emotions. "... when it comes to certain police officers, the notion of implicit bias - looking at people and having stereotypical reactions to them." 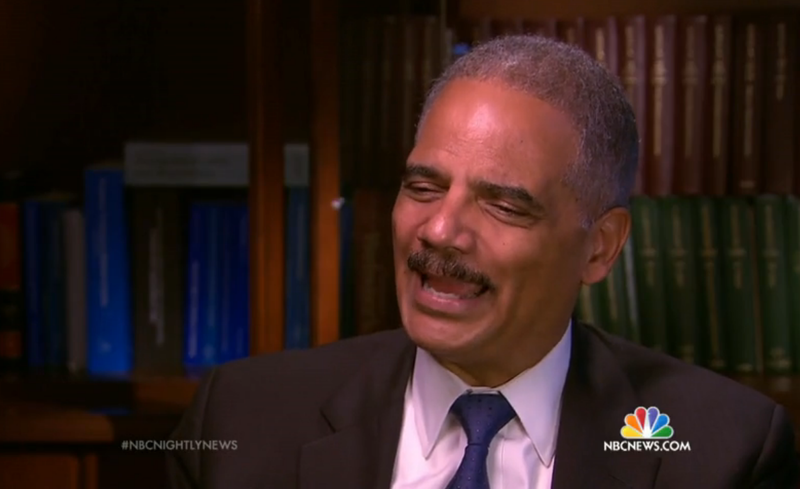 More hyperbolic mouth motion is seen as Mr. Holder says, "... reactions ..." (at 1:02) again signifies his belief/knowledge in his relative alpha status. "Well I think the, the level of vehemence that has been directed my way I think has been perhaps a little different than, um, I have seen, ah, other attorneys general have to, have to deal with." 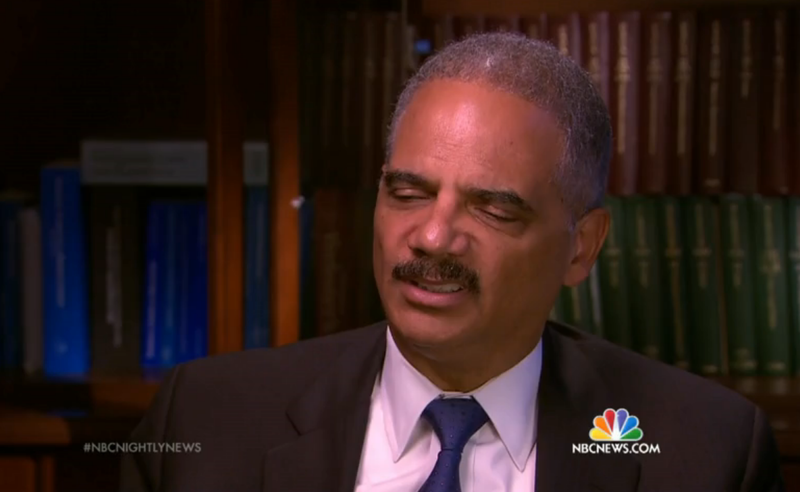 When he says, "... little ..." at 1:25, Mr. Holder displays a classic microexpression of contempt. ".... and I don't like the idea that I'm necessarily leaving before the end of his term - but it's ah - it's the right time for me to go." This is a moderate, intermittent nonverbal expression of regret - and is completely congruent with the verbal message.